Our Durat material offers designers almost infinite opportunities to create various surfaces. The sheets can be used to create, for example, coherent, seamless surfaces tens of meters in length with various forms of edge design and intarsia patterns. The seams can be sanded invisible. DURAT Palace is a material that was conceived by designers, for designers. 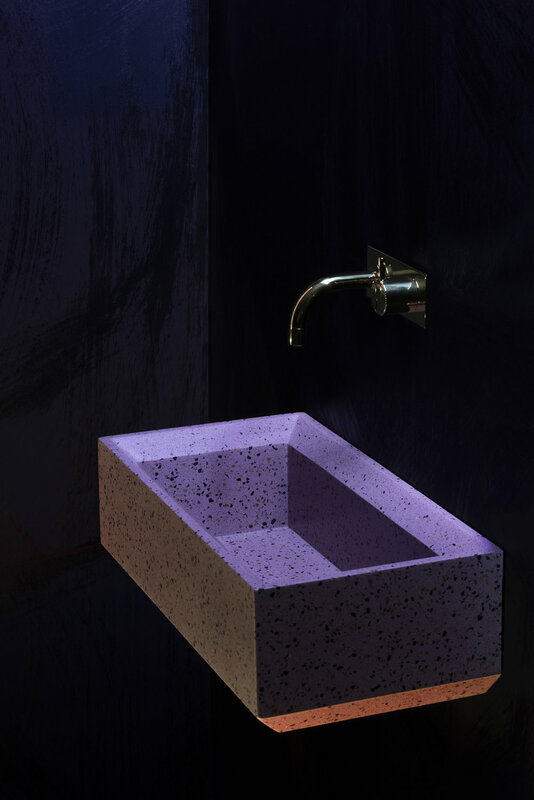 It is a food-safe resin based solid surface material that is 100% recyclable, contains 30% post industrial waste plastic, and natural pigments. Mouldable, cuts like wood, bonds with invisible seams, cures with heat not chemicals, and produced with 100% renewable electricity in our manufacturing facility in Finland.